This furry face is pretty irresistible. Plus there's that gorgeous fur coat! Meet Thunder. 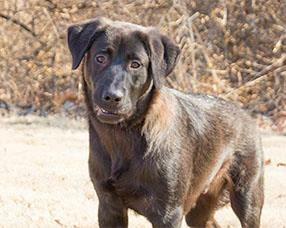 He's a young, medium sized Labrador Retriever mix. Hi, I'm Thunder! I'm a handsome Retriever. 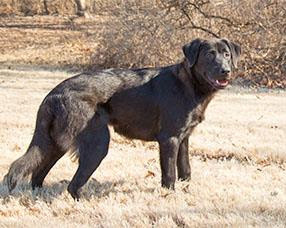 Lab mix weighing 53 pounds and I'm looking for the perfect peeps for me! My last shelter brought me here when they ran out of room for me. It's okay, though! I love being a Waif and I know now I have the best chance at finding my forever family. I'll do grr-eat in a home with children or other furry friends but let's meet first to get an idea of how I'll do once I'm home. I have a pretty moderate energy level so if you're looking for a guy to cuddle up with, look no further! I'll always keep you company. When we do get active I love getting out and exploring the world on walks. The peeps here say I do awesome walking on a leash, sticking right by your side instead of pulling ahead. With some basic obedience training I'll be able to learn everything you have to teach me. I'm super smart and I'm eager to learn what you expect from me in no time. I know with some patience and love I'll be able to be the companion you've been dreaming of. If you think you might be the peeps for me then come by soon and say hi! 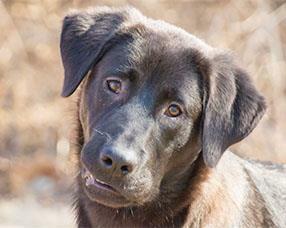 Thunder's adoption ID number is 30752761. Thunder sure looks ready to go home and we sure hope that happens soon. We will share. He is gorgeous! Reminds me of my Teddy! Sharing.